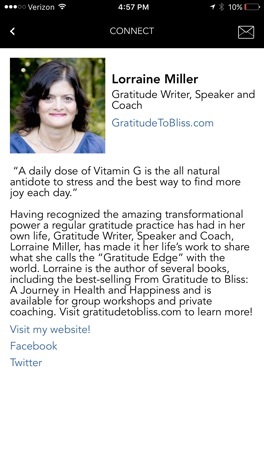 Lorraine Miller's Gratitude Journal - From Gratitude to Bliss takes users on a 30-day journey in positivity. 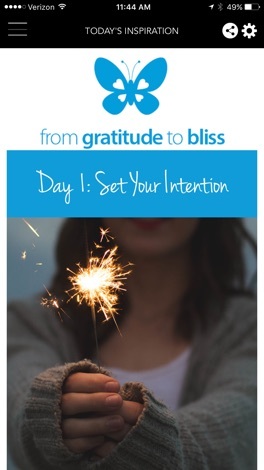 By prompting them to record a few things each day they are grateful for, users are able to shift their focus in a positive direction and create more bliss in their lives. 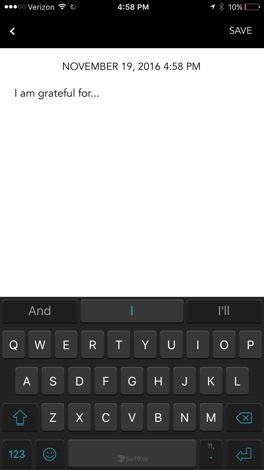 All within just 5 minutes a day of daily practice. Gratitude is one of the areas being most research in the growing field of positive psychology. Practicing gratitude has proven health benefits that include reducing stress hormones, boosting immunity, creating smoother more efficient heart rhythms, and improving mood. Research also shows that people who practice gratitude regularly report that they become 20-25% happier. 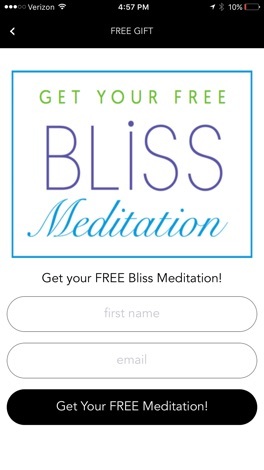 Based on the award-winning print journal, From Gratitude to Bliss: A Journey in Health and Happiness, this app is ideal for busy people on the go who want to increase their health and happiness with just 5 minutes a day of daily practice.